I still smell the cigarette smoke in my nostrils, the day after, as I review my 2015 Bumbershoot experience. There seemed to be many more cigarettes being smoked this year. — Perhaps folks were frustrated and bored with the festival, and they lit up to cope. But I am allergic…. Prepare to be frisked and searched. 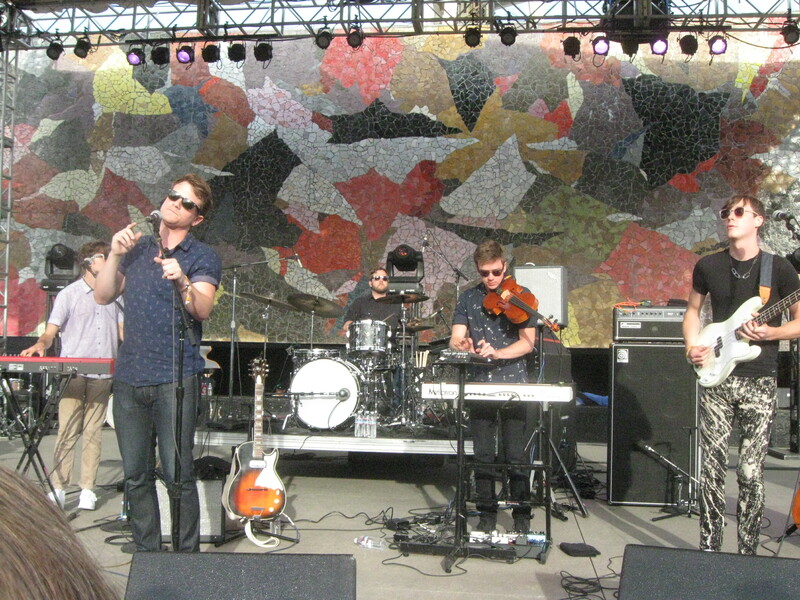 Members of Hey Marseilles, performing at Seattle Center’s famed Mural Amphitheater. My Bumbershoot really started three hours later, at 5:30 PM, when Seattle’s own (not for long) Hey Marseilles began blasting their original music from the Mural Amphitheater stage. The genre-defying band (they’ve morphed from their former orchestral-folky selves) of bright young men played a fabulous, muscular set to a huge, adoring crowd comprised mainly of loyal followers. Which included me. 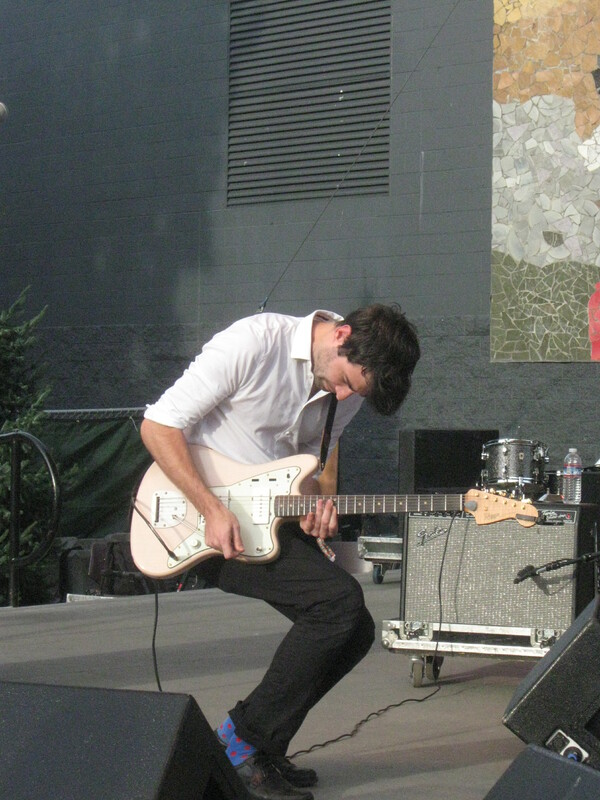 Equal time for Hey Marseilles’ fine guitarist. Before experiencing Hey Marseilles, whom I’ve seen probably five times, I had been immersed in what I call “Bumbershoot Junior”. 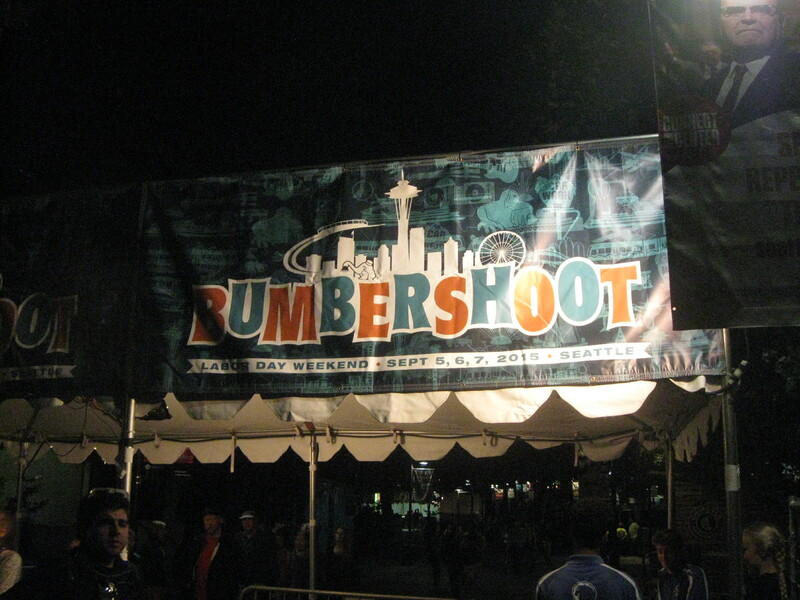 – As in, where was everything the typical Bumbershoot normally featured? 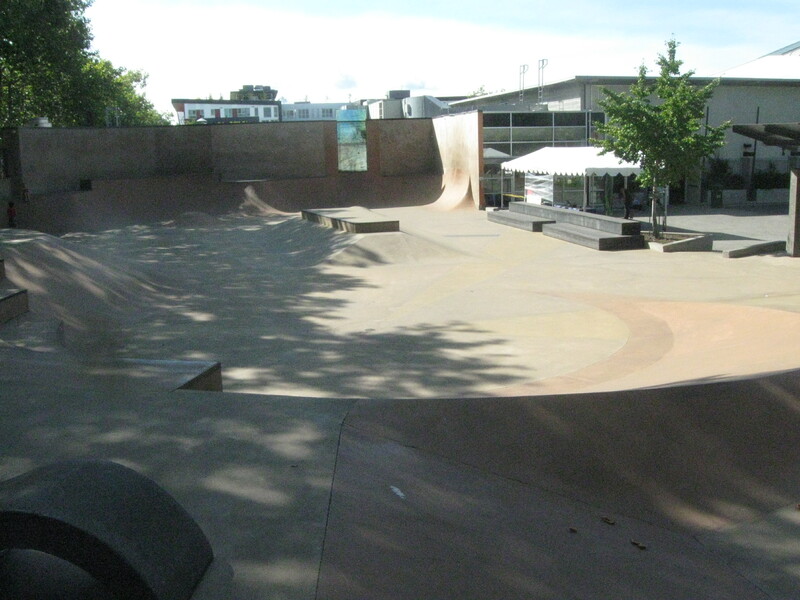 Seattle Center’s empty skateboard park. Skateboards were banned. The park went unused for three days. 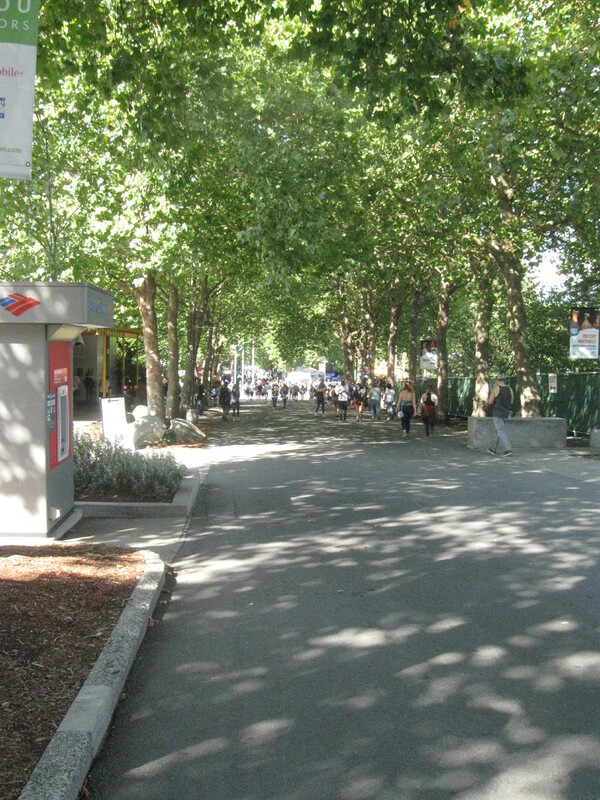 — Not sure where the regulars went to skate…. There were no skateboarders, no buskers playing their acoustic music. Rather than numerous food booths, the festival crammed a few booths onto a hard-to-reach patch of cement on the east side of the Armory. While most food venders were not asked back for 2015, fortunately, my favorite, Big City Burritos, was there. In the spaces where food booths belonged, mostly commercial booths were set up. The number of booths selling arts and crafts was dramatically reduced. An indie crafts mart, a staple of the festival over the past few years, was gone with no explanation. 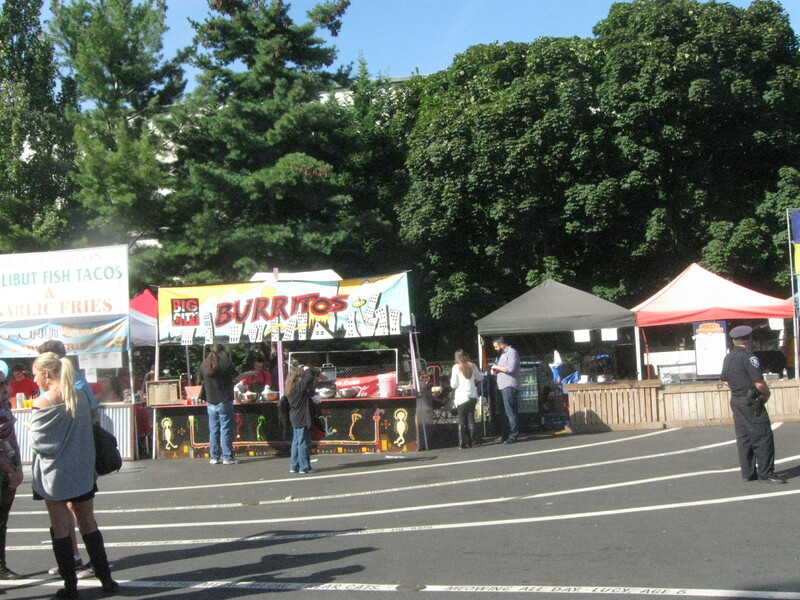 Bumbershoot is supposed to be an arts and music fest — a treat to the eye and ear. Other than two visual arts exhibits, which I did visit, little art was presented. For me, this year’s festival was about what was missing, not what was present. For instance, I could find no jazz programming. Seattle is blessed with some amazing jazz performers. So is our nation. Last year, the phenomenal Gregory Porter shared his amazing vocals with a huge crowd. A few years ago, the one and only Tony Bennett totally captured our hearts in concert in the Key Arena. 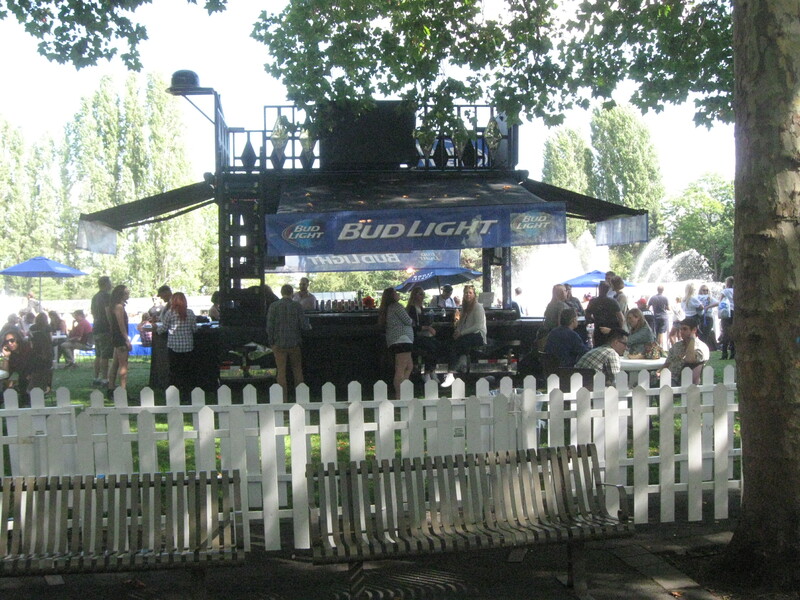 While there was too little of what we regular Bumbershooters have come to know and love, there were way too many beer gardens; they imposed upon the grassy areas which in the past were wide open spaces for folks to listen to and dance to the music on the various stages. And this year, there were only five stages presenting live music. In the day, there were nine! 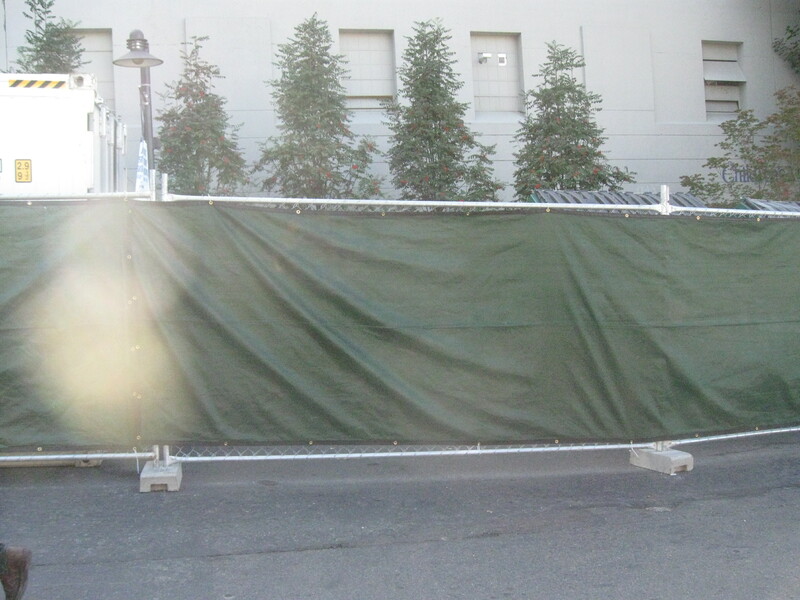 In addition to losing much space to the beer gardens, attendees were met with barriers, fenced off buildings which previously housed activities, and vast areas of “nothingness”. 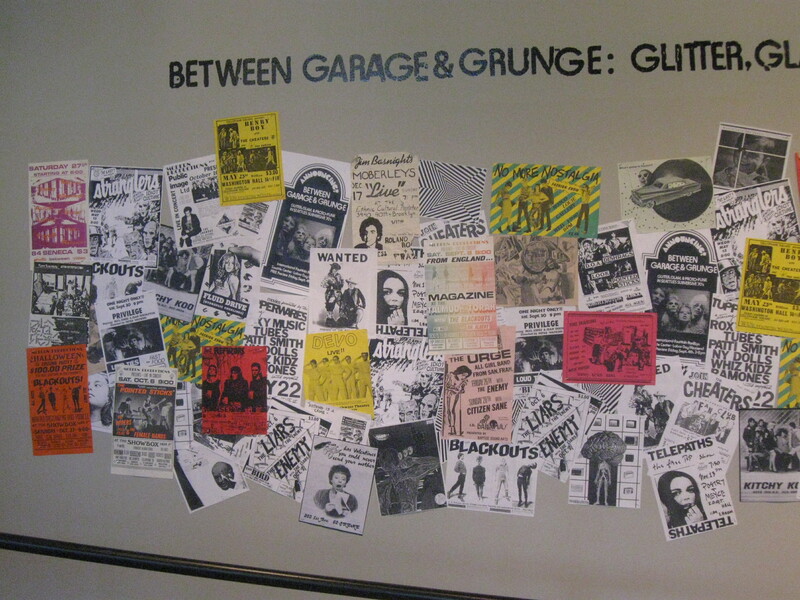 I did enjoy one of the art exhibits presented in the International Fountain Pavilion: “Between Garage and Grunge: Glitter, Glam and Proto-Punk In Seattle’s Subversive 70s”. I was only in my early thirties when the punk/new wave movement reached Seattle. I embraced it back then. So, I enjoyed seeing old posters and ‘zines from the day. I think the exhibit was every bit as good as many which I worked among while employed at Seattle’s Experience Music Project. I’d be happy to see the exhibit go to EMP. I’d certainly visit, to examine it at length. Gary Houston, graphic artist extraordinaire and Flatstock participant. I am so glad he was in attendance this year. I love his work. 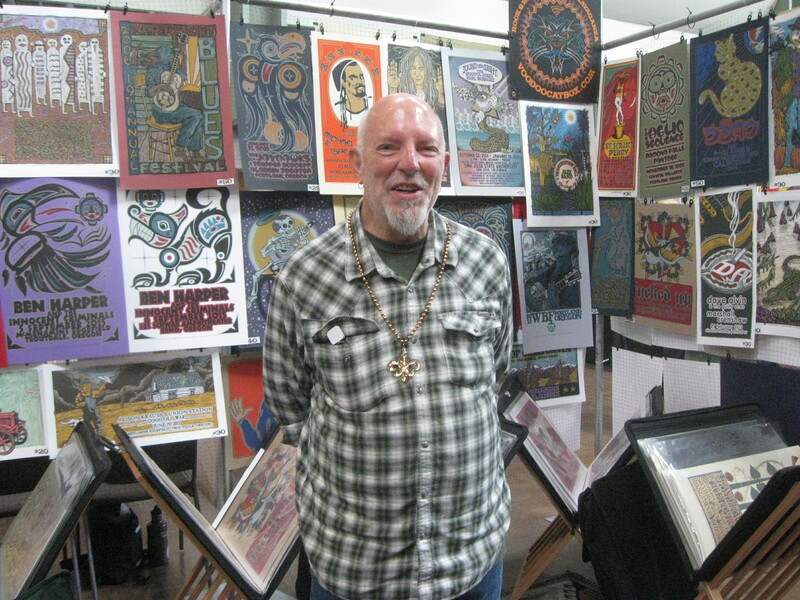 I was glad to see the annual event poster presentation known as Flatstock, set up in the Armory. 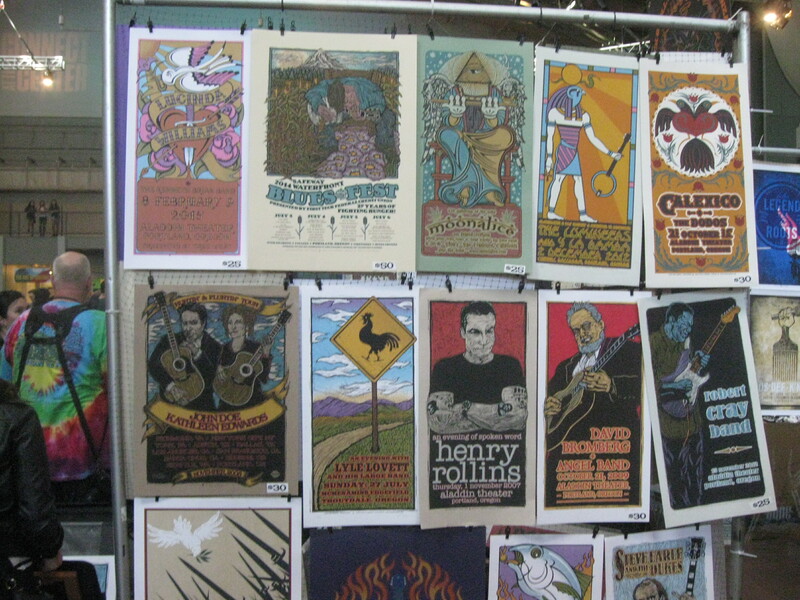 — Although, there were certainly fewer booths this year, with less artists in attendance. More of Gary Houston’s work. He’s out of Portland, Oregon. Members of DeVotchKa, out of Denver, Colorado, on the Untamed Stage. Not pictured: Tom Hagerman, keyboards/violin/electric bass. The excellent band, DeVotchKa, a group I describe as “world surf-rock”, put on one heck of a performance in the early evening; however, I was able to understand very few song lyrics, as they were drowned out by the albeit ingenious music, which they produced not only with guitar, keyboards, bass and drums, but also flute, accordion, double bass, tuba, violin, Theremin, percussion and horns. Not knowing what the songs were about took away from what was otherwise a good experience. I’ve seen DeVotchKa previously. If they are playing at a festival, I see them. Ben Harper and the Innocent Criminals, on the Untamed Stage. 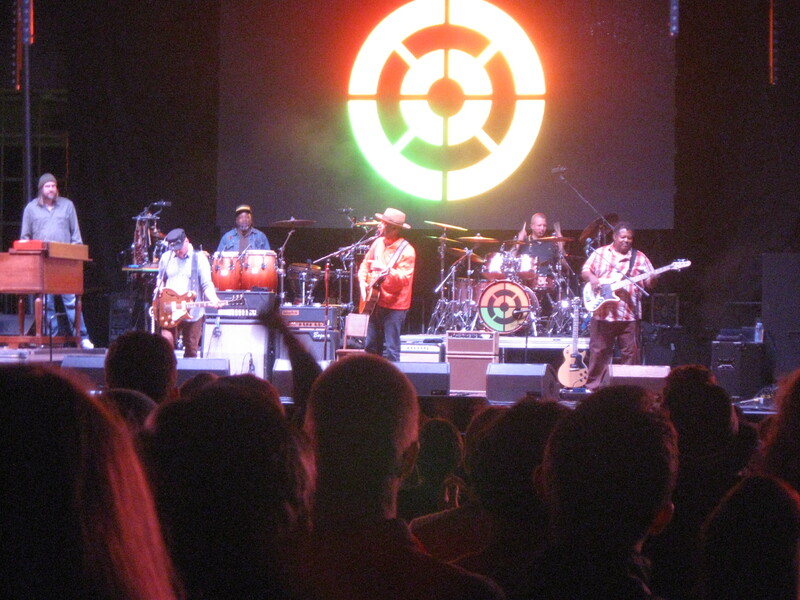 Later in the evening, Ben Harper and the Innocent Criminals returned to the festival and played a fantastic set of their American music on the relocated/renamed Fountain Lawn stage. It occupied the space held for years by the Bumbrella Stage. This year, it went by the moniker of the Untamed Stage. Mr. Harper, who featured an amazing percussionist in his fine ensemble, Leon Mobley, basically saved the festival for me. He is not responsible for this year’s changes and takeaways. I thank him for giving us such a heartfelt set. Will I attend next year? Well, I don’t want to decide until I see the concert and visual arts lineup. If early tickets are offered at a discounted price, before the lineup is announced, that’s going to present me with a quandary: do I buy early and save, and then perhaps experience a thin lineup at a cheaper price? 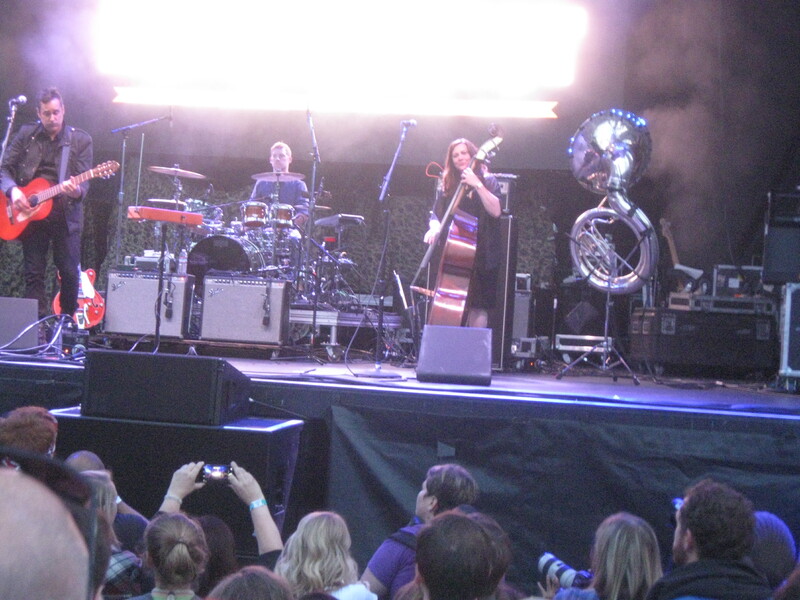 My thanks to AEG Live, the company which stepped in to “save” this year’s Bumbershoot. I hope, given a year to produce the 2016 festival, they are able to make many improvements, and smarter, more equitable decisions. For gosh sake: let a 66 year old man bring Rolaids and Ibuprofen! At my age, I practically live on the stuff. Your frail, elderly author. I took my Ibuprofen before I got to the festival! Full disclosure: the festival gave me my ticket, which is the only reason I went. After reading my complaints about AEG Live’s performance, they offered me two, three-day Emerald VIP tickets, so I could attend the event and then decide whether or not I enjoyed it. I told them I was not a VIP kind of guy. I said I would take one regular ticket for Monday. I only went Monday; I cannot speak to how things went on Saturday and Sunday. All I know is that for me, the negatives made for a Bizzaro-Bumbershoot 2015. AEG managed to put together a very, very thin 2016 lineup, while keeping ticket prices way high. Instead of holding the festival on Saturday, Sunday and Monday (Labor Day), they moved it to Friday, Saturday and Sunday. They made this change so they would not have to pay holiday scale to workers who have, for 40 years, worked Bumbershoot on Labor Day. 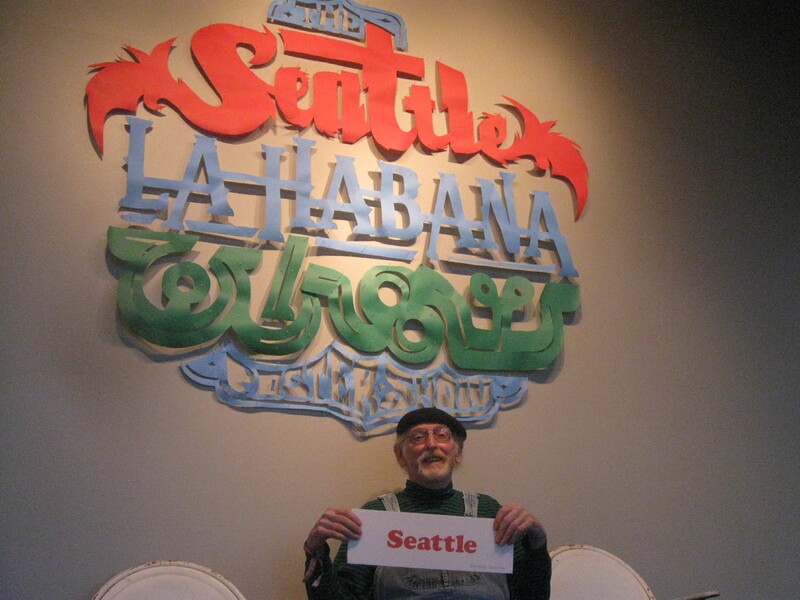 I got this straight from the horses mouth: a Seattle Center Information Booth staffer told me of this. She said workers are taking this personal. I put a few critical comments on Bumbershoot’s Facebook Page, and they banned me from the Page. They do NOT tolerate criticism on the Page, even when it is politely-worded. 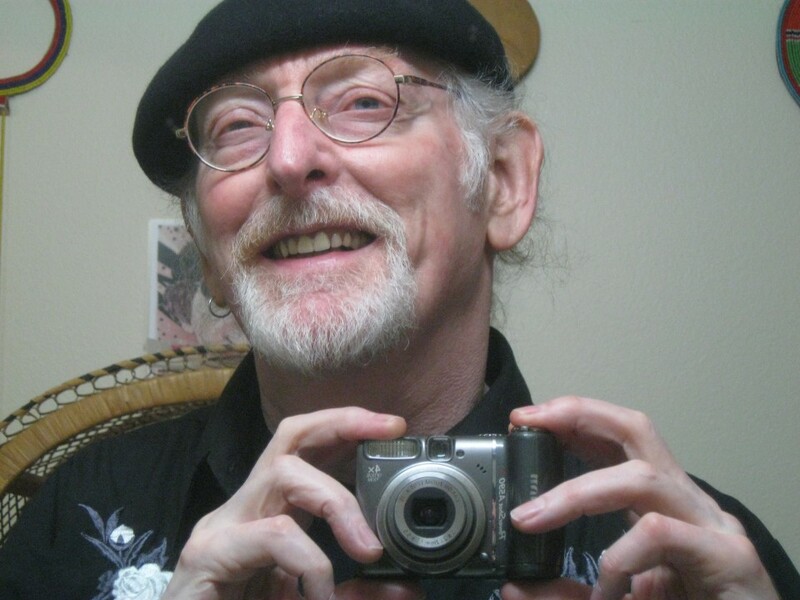 — They banned someone who is actually in Paul Dorpat’s great documentary, Bumberchronicles: me! Of course, no one running Bumbershoot now would know Paul even made a movie about the event…. I know no one who is going to Bumbershoot 2016. All of my crowd has backed out. 2017 Update: the price is so high and the lineup so thin, that I don’t even want to discuss it. I’m old. I don’t expect to be familiar with a lot of the bands playing the new Bumbershoot. But if the price was right, and if it felt more like a real festival, I’d pony up, buy tix and go. One of the fun things about Bumbershooting is discovering bands that are new to me. — I walked around the perimeter of the whole shebang, and saw a lot of happy people, who looked excited about eventually going through the gates, and having fun. I talked to a few folks, took some photos, and had a bit of fun just checking things out from the outside. And…. 2018 Update: Once again I went all around the perimeter of the event. 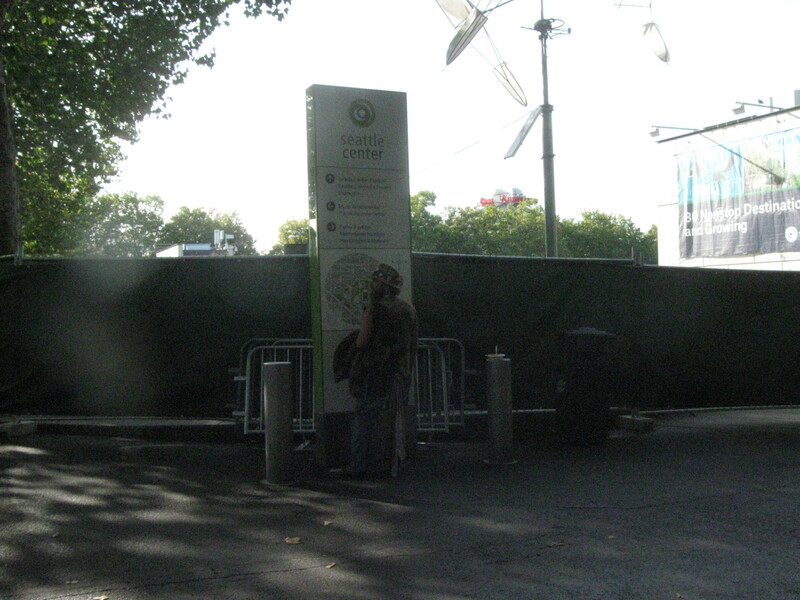 This time, I saw black fencing everywhere, and a lot of bored looking people, 99% of whom were under…. 25? 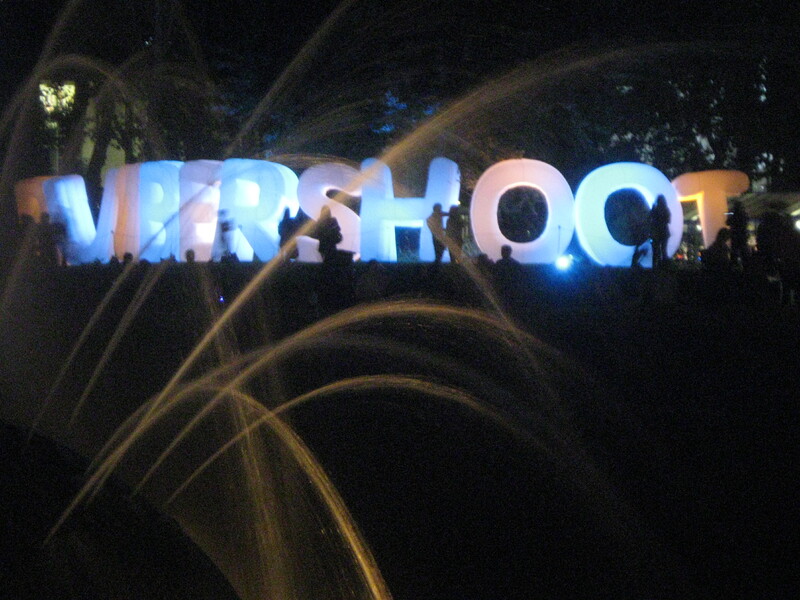 Bumbershoot was a family arts festival for the first oh, 40 years. It was a great, all-ages event. Not any more. Paul Dorpat, Catherine Wadley and Jean Sherrard’s great 2001 film, “Bumberchronicles”, is finally on YouTube. You can catch a glimpse of what the real festival was like. And shortly after the 57 minute mark, look for my late, beautiful, ex-wife, and myself, talking about how we “worship Bumbershoot”.